Construction of the Pierce Boston condo-apartment tower at 188 Brookline Avenue in Fenway has reached 18 floors, putting it more than halfway to its 30-floor height. 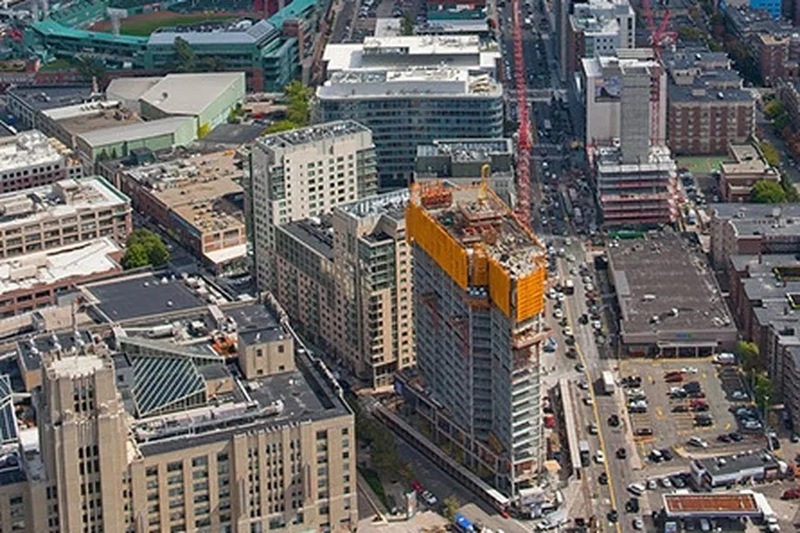 When it’s done, the approximately 340-foot tower will be the tallest building in Fenway—a not-unimpressive feat given the amount of construction in the neighborhood lately—and one of the tallest buildings in Massachusetts, period, west of Back Bay. 2016 PRISM Awards: TCC does it again!